SXSW is a global conference held in Austin, TX that brings together industry professionals from around the world to gather, listen, learn, innovate and network together. This conference focuses on a lot-a-bit of everything from Marketing to Storytelling to Music and more. Today marks the first day for music industry professionals to gather and show off their best skills and talents. We are so excited to announce that local music label, Independent Ear, plus a lineup of awesome bands known to Rockford, are there right this very minute performing among leaders and professionals in the industry. Rockford artists continue to showcase their talents in many different - and creative - ways and this is a good example of working to do that. 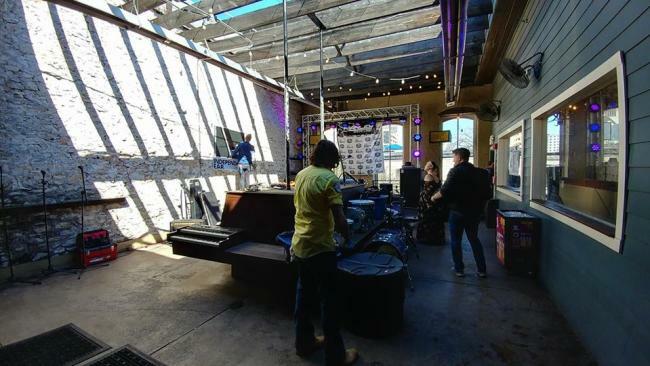 The more notable of showcases is that with Red Gorilla Music Fest today at The Rooftop on 6th Street. Other performances feature: The Summit, L.A. Knights, Nick Urb, Dylan Lloyd, Rabid Young, Jerry Dale Harris, Adam Davenport, as well as special guests Nick Caster, Indigo, Spy MC, Bradley J, Aquafresh, Megatron and more. In addition to that catch Independent Ear artists throughout the week with appearances at Franky Diablos, Sahara Lounge and Sidewinder Bar! Be sure to check out the full lineup of new up-and-coming musicians, including many under the IE label, right here: MUSIC MUSIC MUSIC! Follow along and root on Rockford in Austin! #GoRockford! For more information about local music events happening in the Rockford region visit www.gorockford.com!